So glad to see Block Lotto back again! I’m adding four Susannah blocks to this month’s drawing. 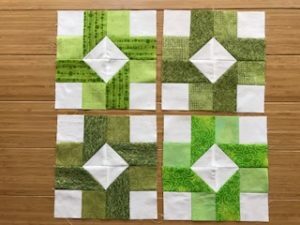 It was such a fun block to make and will make a great quilt.